So you have your very own Hope Mills business complete with a little yard but don’t think you need to worry about commercial landscaping. This could not be further from the truth. Taking care of your business, just like your home, is about caring for the outside as well as the inside. It can get easy to get caught up taking care of your business and forgetting about the details. Yet smart business owners know that delegating is key; don’t get caught up taking care of work that should be done by someone else so you an focus on what you do best. The mistake is either trying to do it yourself or neglecting to take care of it. This is what professionals are for to take care of the aspects of your business that you should not have to be focused on. So what does the outside of your business say about you right now? If you have overgrown weeds, grass that needs mowed and empty planters where fresh, thriving plants should be, do you think this is the positive first impression that you want to make? Before you even get a chance to talk to your potential customers, the exterior of your business has already said a lot about you, whether you meant to or not. There is no way that prospective clients are going to think that you take your business seriously if you don’t even take care of every aspect of it. Let the exterior of your building reflect who you are as a professional and as a business. You wouldn’t want to have friends over to your home if it was a mess, so how do you expect to make a positive impression on strangers if your business exterior is in shambles. If nothing else, keep in mind that if you don’t care about the landscaping in front of your business, you can bet that your competition does. So who do you think your potential customers are going to choose? 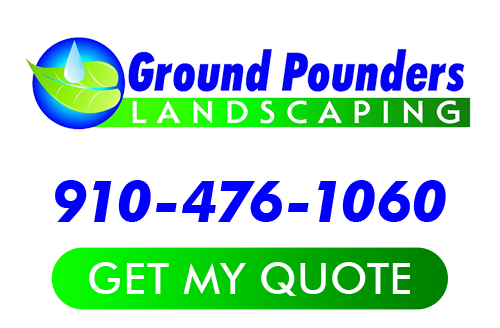 By working with the team here at Ground Pounders Landscaping you can feel confident that you are going to get the finest in quality workmanship. Since 2007, we have been the local leading service provider for Hope Mills commercial landscaping and other related services. Our main goal is to help you and your business make the best first impression possible. So don’t try to take on landscaping work by yourself that we could professionally execute for you. If you are looking for a Hope Mills commercial landscaping expert then please call 910-476-1060 or complete our online request form.